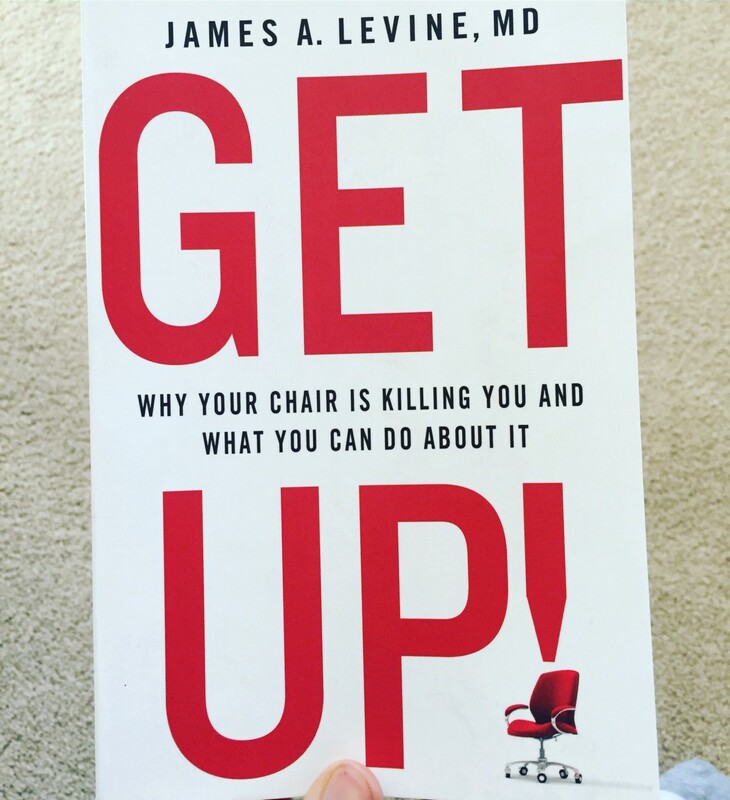 The last book I wrapped up was Get Up: Why Your Chair Is Killing You And What You Can Do About It by Dr. James Levine. As the subtitle may suggest, this guy is not a fan of chairs. He produces ample evidence to support his ideas on why our marriage with sitting has been so disastrous for society. Dr. Levine points out that the average American sits for 13 hours a day (21 hours sedentary if you count sleep! ), our ancestors from even 100 years ago sat for about 3 hours a day. He goes into detail on how sitting too much contributes to many health complications like overeating, hypertension, diabetes, obesity, and several others. At first I’m sure it sounds out there, think about it though. You wake up, sit down and eat breakfast, browse your social media feeds, and catch up on some news or maybe emails. Than you drive or take a train to work, sitting down. You’re at work for 8–10 hours and eat lunch in your chair. Then commute back home, only to crash on the couch to watch some TV and eat dinner before heading to bed and repeating the cycle again. This is probably not far off for most folks. Even if you exercise an hour a day, you can mitigate those benefits by sitting for the rest of the day. Dr. Levine covers how the human brain needs the body to move in order for it to function and develop optimally. That goes for adults as much as for kids. The crux of his thesis is the concept of NEAT. Non-Exercise Activity Thermogenesis, essentially the calories you burn from non-exercise movement. He’s found that lean people have 2 hours and 15 minutes more NEAT that an overweight person. In order to increase your NEAT you just need to be moving, it doesn’t have to be strenuous. Simply walking a few times a day can do wonders for your health. He recommends a 10–15 minute walks after meals to get moving and help stabilize your blood sugar to minimize the dreaded post meal crash. Other ways to move more through the day include cooking, cleaning, yard work, playing with a kid or dog, walk and talk (either on the phone or with someone else), anything that gets you moving. In the book, he goes over how to reimagine schools and how we educate children. Going against the grain he proposes and has even experimented with classrooms where kids are free to move. Children are meant to move around but if a kid does that in class today they’re reprimanded. We’re punishing natural human developmental behavior! Dr. Levine explains, as I mentioned above, that the brain works and learns best when the body is moving. Same goes for work. Now I’m a believer that there are different work styles and different environments people work best in. However, the need to move throughout the day is universal. Dr. Levine touches on how to change company culture to prioritize the activity of employees. There is mounting evidence and innumerable studies that show that workers who are more active are substantially more productive. He is a big proponent of the treadmill desk because it keeps you moving, as opposed to a standing desk where you’re still not active. If you can’t swing that just be conscientious and intentional about moving more throughout the day. Sitting itself is not evil, and rest is important. However, I don’t think it should be a lifestyle and I think we all can see the slew of deleterious effects that sitting too much has played a role in the past century or so. It’s not the only factor in our societal health troubles, but it plays a role for sure. If you’re interested in learning more you can check out one of his websites, Just Stand or even get the book. It was a quick, easy read, and not too heavy on the science but digestible. time we start moving. Even an hour more a day can have great benefits. Our health, happiness, and productivity depend on it! Let get up and moving! Gradual change approach toward getting healthy, with personal weight loss stories, thoughts on diet, diabetes, chronic pain, high blood pressure, coping with debilitating conditions, sleep apnea, meditation, and healthy food choices.